I have been searching for the perfect leather shorts for what has seemed like ages now! is so soon. Gotta listen to more Christmas music while I can. Well I hope you all have a lovely day and enjoy this holiday season! Wow, great outfit. Love tje jumper. You have such a nice style sweetie. Hope you`ll follow me too! The 2nd photo of you is gorgeous Bonnie. 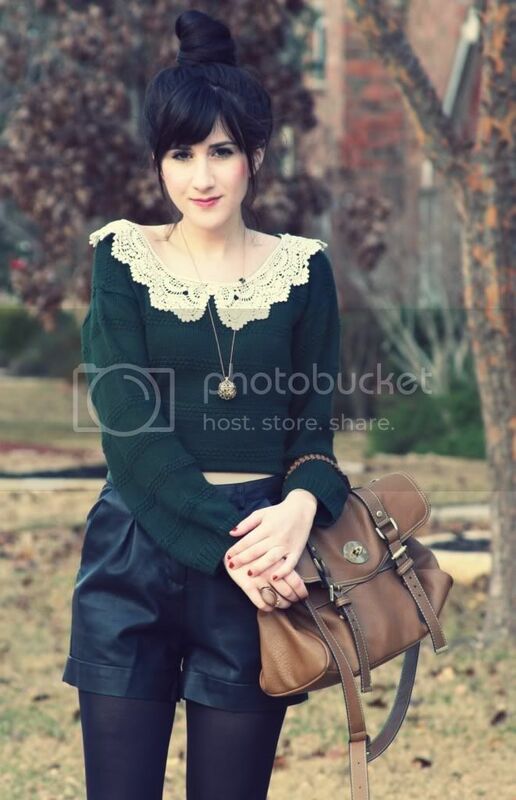 Adore the leather shorts & you've built the perfect outfit around them! you are beautiful in every post!!! 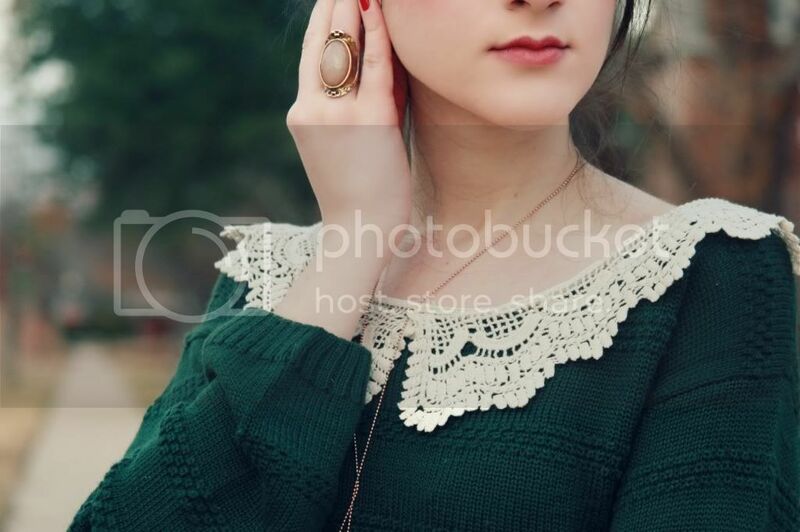 Gorgeous sweater with the loveliest collar! Love your shorts and bag too! Merry Christmas! Your bun is so cute!!! gorgeous shorts :) it's amazing how everything looks so adorable on you! the jumper is too cute!! 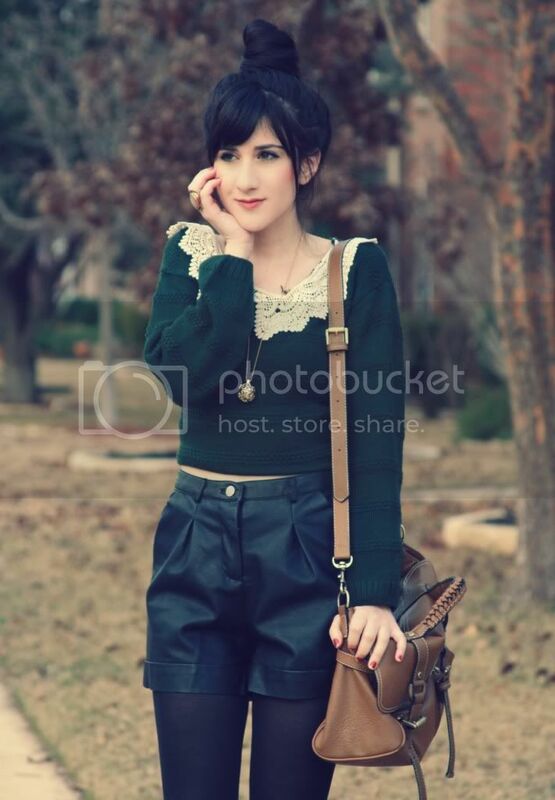 these are adorable, i love the way you styled this outfit! beautiful! 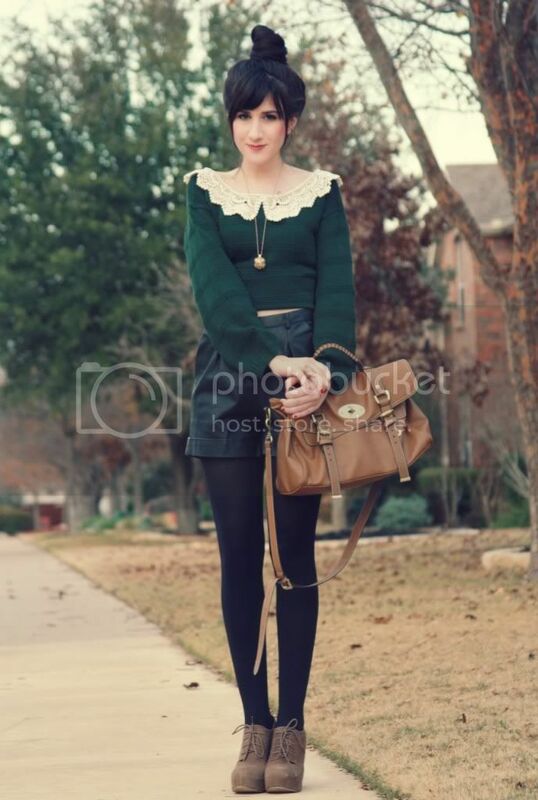 I am obsessed with peter pan collars right now! Adoring your sweater. The collar is so cute. Merry Christmas. You pull of leather shorts so well. You look stunning, so doll-like! I love the ring and pendant, it has that old, lived through many holidays kind of feel to it. Very sweet shirt : ) love your hair! Really cute outfit, the leather shorts look really good on you! Love the accessories, especially the ring! You always look too goddamn perfect in winter, Bonnie! Those leather shorts are awesome! I'd love to have a pair like that. I love the girly sweater you paired with them. The collar on it is really adorable. What a great outfit! :) Hopefully all your shopping is done soon! Merry Christmas! These leather shorts really are great! I've been looking for a pair too. Your platform heels are truly a dream! <3 and I love love love your leather shorts! I really need a pair in black - I only have peach leather shorts! Those shorts are really the perfect ones, love your sweater, it's a real beauty! Hola! me encanta tu blog, es muy interesante. espero que te pases por el mio y me digas que te parece. un saludo y feliz navidad. I don't usually like leather shorts, but this pair is lovely on you! You paired it with that pretty sweater perfectly. I think my favourite photo is the close-up of your collar. Your skin is so flawless! I seriously love green on you! Another beautiful outfit, love all the details. Have a great holiday break love! You're so cute!!! I really love the shorts!! Great buy! What an awesomely cute sweater. The collar is just devine. you always look amazingly cute! and your outfits are awesome too! Those boots are so cute! Lovely, happy holidays! The cropped sweater works so nice with the leather pants! Bonnie, you are so pretty!! That is one adorable top and its collar is to die for!! Whenever I look at your outfit posts I always go "aaaaaaaaaawwwwwwww cuuuuuuuuuute". Cause I'm weird, but also i love your style so much! Have a happy Christmas! You are such a style inspiration!! I like the outfit. The shorts especially. To do them with tights is lovely. i LOVE your sweater bonnie!!! You look so freaking adorable! Amazing shorts! Love it! You seriously have some of the best sweaters ever! Love the collar detail on this one. You have such a great style, I love then things are not only about fashion! amazing look - I love how you styled your hair and the forest green color - one of my favorites! Those are great shorts -exactly what I've been looking for as well!